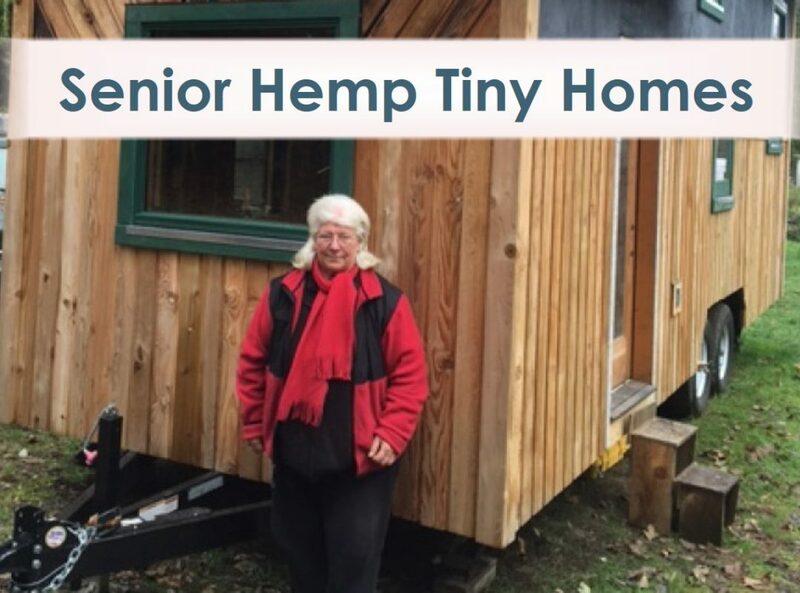 Senior citizen Pat Rasmussen is building the first industrial hemp insulated tiny house on a trailer in the state – right in Olympia – to show other seniors how they can build their own secure, warm, comfortable green home on a small budget. Many seniors like Pat live on $800 or less a month social security – some had jobs that didn’t put retirement away for them. At age 70, they deserve a secure, warm home and they can have one – a tiny home. Natural hemp insulation with energy efficient design means no heating is required. Solar panels mean no electricity bills. Solar water heating provides hot water. The tiny house sits on a trailer designed for tiny houses so it can be moved when needed. Growing industrial hemp is now legal in Washington State – the first seeds go in the ground spring of 2017. We are fostering a new industry for our state. It’s time to get ready for building with hemp! The tiny house can be in a community space, a tiny home village, or as an Additional Dwelling Unit (ADU) in someone’s yard where they can live in community with the home dwellers and other friends in the neighborhood of their choice and with a network of support. Seniors will work together to build Pat’s tiny house, while learning the skills to build their own. They’ll work together with partner organizations and agencies to build a program and develop funding sources so many seniors can take advantage of the new “Tiny Homes for Seniors” housing solution. Partners will be working with the City of Olympia as they launch the “missing middle” project analyzing what the City can do to remove any obstacles to this type of housing being built in Olympia – such as city codes, fees or other requirements. The program will include helping ten more seniors raise funds and build their own tiny houses following this model. By donating to Pat’s project, you will set off a new green, affordable revolution: hemp tiny homes for seniors!